Whether it is a pilgrimage to find the grave of a relative, to the location where they and their mates fought, or just to understand the sheer magnitude of the Great War, there is no better way than experiencing it first hand through a guided tour of the battlefields. Greg has been guiding groups of friends and families, including relatives of men that fought with the 22nd Battalion, since 2014 focusing on the sites and locations specific to each tour group. 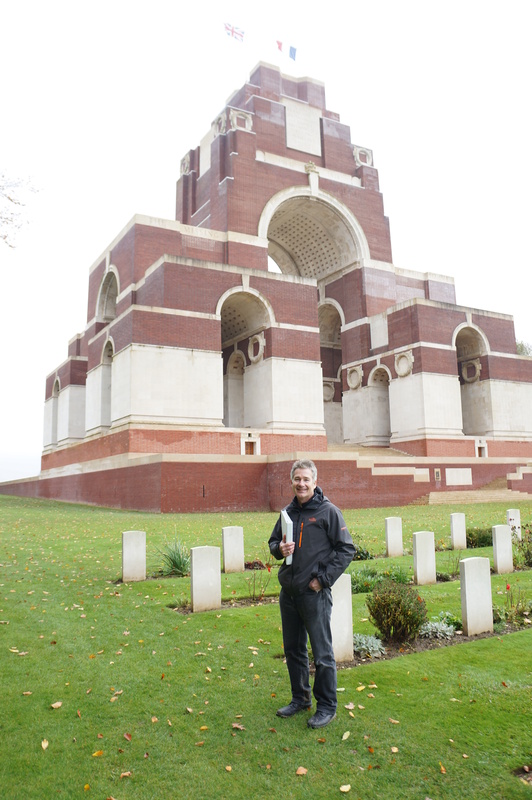 In 2018 Greg had the privilege of acting as coach battlefield guide in two large WW1 Centenary events – the Royal British Legion Great Pilgrimage August 2018, and the Armistice Centenary in Ypres November 2018 – organised by the Battlefield Tour company Leger Holidays. Although the 22nd Battalion and the Australians are Greg’s area of expertise, the association, training and experience with Leger has demonstrated the broader knowledge required for both context setting and the role played by men from across the Empire within the British Expeditionary Force. To find out more or to discuss a bespoke tour of the Western Front contact Greg via the website ‘Contact Us’ page, or send an e-mail to gcgstephens@gmail.com. References can be provided upon request.